Hideous monsters devouring ships? Cryptic symbols, correctly showing storm fronts & dangerous currents? 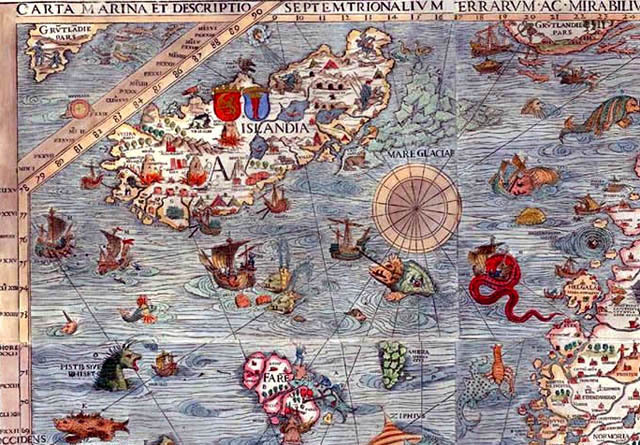 I’ve always been fond of maps, from those antique ones showing sea serpents and hideous monsters devouring ships in the vast expanses of the ocean, to those showing what the world looked like in the distant, and not so distant, past. Maps have, of course, been with us in one form or another, for a long time.